With the help of a powered garden cultivator, however, the time you spend working can go from painstaking to productive. 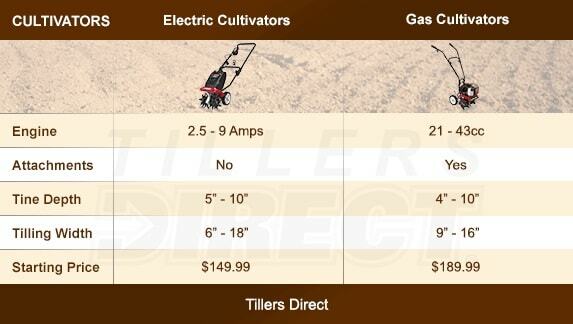 There's just one question: Which kind of cultivator is better for you, electric or gas? Because they're lightweight and simple to use, electric cultivators are perfect for quick jobs and small, confined spaces. 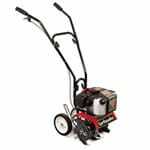 Electric cultivators have tines that are adjustable in width and depth of treatment. They afford gardeners plenty of versatility, even for tiny garden plots. 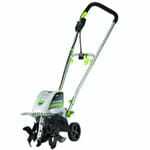 If you plan on gardening on a small to medium-sized plot close to an electrical outlet, an electric cultivator is an excellent choice. Gas cultivators are heavier than their electric counterparts. However, at about 25 pounds on average, they're still much lighter than garden tillers. Because the tines propel the cultivator forward as they rip up the soil, you should expect a forearm workout from steering and guiding the machine. However, with that workout, you'll also get the efficiency and the thorough mixing of soil that gas-powered cultivators provide. Cultivator Buyer's Guide.. Our Power Equipment Direct how-to library can help you learn about How to Grow Crops with Raised Rows or Beds, Proposition 65 Product Labeling and Sales Tax Information.